You may shop online, by phone or in person at our Mississauga location. For greater details, please see below. Online sales are handled on our ecommerce website at www.shopenerplace.com. We are happy to take your order by phone for shipment to anywhere in Canada or the United States. For details on shipping, please see Canadian Sales or American Sales. 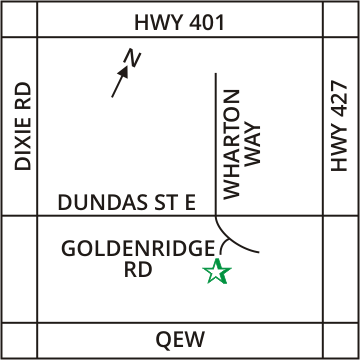 Goldenridge Road is west off of Wharton Way just south of Dundas Street East. Wharton Way is 5 traffic lights east of Dixie Road and 4 traffic lights west of Highway 427. As you turn onto Goldenridge Road, you will see us in the end unit of the building directly in front of you. 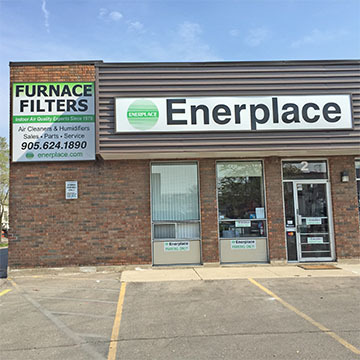 Look for the "Furnace Filters" sign on the corner of our building. We have permanently closed our Scarborough location. Please visit our Mississauga location or place your order online or by phone for home delivery. All logos, trademarks and trade names are the property of their respective owners and are used here for identification purposes only.